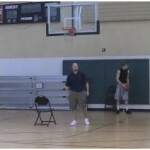 Archive "One Ball Basketball Dribbling Drills"
All of these one ball basketball dribbling drills are in HD video and text format. 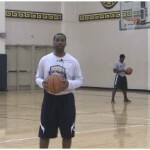 They are also instructed by an expert basketball coach, and demonstrated by a high level basketball player. All of the ball handling drills are on the move, and are designed to work on different dribbling moves, hand eye coordination, the players overall handles, etc. Some of the dribbling drills will work on breaking down a defender and getting into the paint, while others will involve learning how to protect your dribble and keep from turning the ball over. 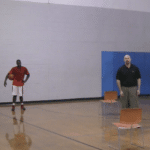 All of these training videos are going to demonstrate the drill, but they are also going to come with teaching points to help the player better understand the move, or the drill. 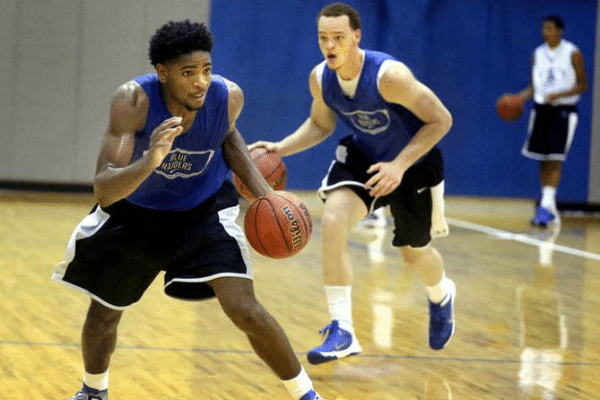 As a basketball coach it is important to be able to have players that can dribble the basketball and handle defensive pressure. 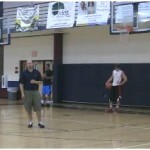 You want your ball handlers to be sure with the basketball, and also be able to attack the defense to create scoring opportunities for your offense. 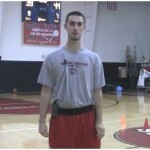 Well with our basketball dribbling drills you will be able to find exactly what type of drill you need for your players. 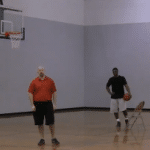 Whether it is learning how to create separation from a defender, or how to breakdown a defender to get past them we have a ball handling drill for that. No matter what position you play you are going to need to be able to handle the basketball at least a little bit. Even big men should be able to at least take a few dribbles to help pressure release when getting pressed by the defense. All of these one ball dribbling drills are going to allow you to work on your handles and specific game moves that you will use. However you are only going to get out what you put into the drill. You have to be willing to push yourself and get out of your comfort zone. 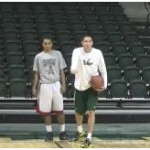 Find some great ball handling drills to do, and then add them to your basketball training plan. 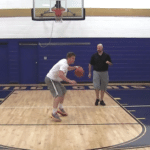 This crossover dribbling drill is going to work on the fundamentals of being low and explosive when you make a dribble move past your defender. 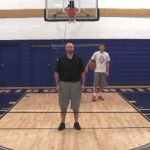 This dribbling drill is going to work on the behind the back move, but it is also going to work on develop quick footwork and being able to stay low. 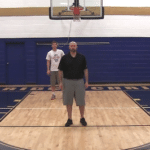 The bust out and retreat basketball dribbling drill is great for teach players how to retreat dribble out of potential traps, or congested areas. 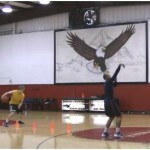 Cone touches basketball dribbling drill is a great basketball drill because you are able to combine working on ball handling, conditioning, thinking, and competition all in the same drill. 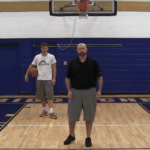 This crossover rhythm drill is going to really work on staying low, having quick feet, and being able to go from hand to hand with ease. The push crossover basketball dribble drill is going to work on dribbling sideways out of trouble to avoid a trap or a congested area. 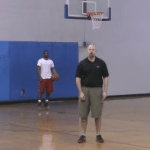 This training video is going to breakdown the double crossover combo move and work on changing up speeds and being explosive. The 1 dribble behind the back change direction drill is going to help the player work on their handles at full speed, and also help with doing some conditioning as well. This dribbling drill is going to focus on being able to handle the basketball at a high speed and then change direction without slowing down. 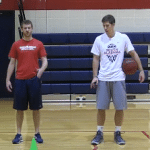 This between the legs dribbling drill is going to help the player work on being efficient with their dribble moves, and also explosive as well. The rhythm dribbling drill is going to really work on handling the basketball in tight spaces and also developing great footwork. The between the legs competition dribbling drill is going to force the player to get out of their comfort zone and really challenge them to get better. 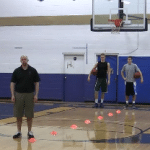 This dribbling drill is going to work on the players ability to make multiple moves in a row while being in a confined space. Great for working on dribbling in traffic. This transition dribbling drill is great for working on handling the basketball and making change of direction moves at a high speed. 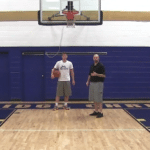 The diamond drill is great for working on ball handling at a high speed. It allows the player to simulate attacking in transition for the finish. 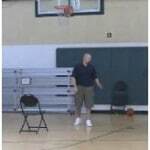 The crossover diamond drill is going to work on handling the basketball in transition and then making a quick crossover move without stopping. 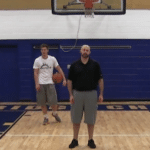 This change direction drill is going to focus on making a move in transition and being able to attack without having to slow down or lose control. 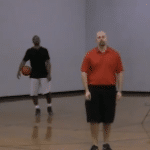 This basketball dribbling drill is going to work on setting up a defender and then taking advantage of them with an explosive behind the back crossover move. 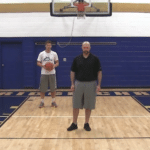 This basketball dribbling drill is going to work on the between the legs crossover move, but also changing up speeds to be able to set up the defender. 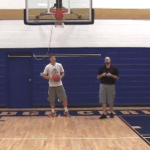 This basketball dribbling drill is going to be a little bit different in that it is going to work on changing up speeds between the two moves. 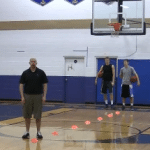 This basketball dribbling drill training video is going to teach a player how to change up their speeds and also work on the crossover between the legs move. 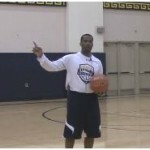 The number basketball dribbling drill not only works on ball handling but it also help the player learn how to think while dribbling the ball. 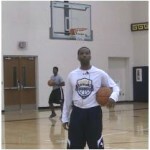 The number drill one basketball combo moves is a great ball handling drill for all ages and skill levels. 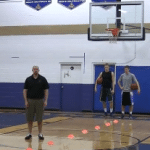 If you are a primary ball handler this drill is a must. The push behind the back basketball dribble drill is going to help you work on retreat dribbling out of a trap situation and also using a behind the back move. 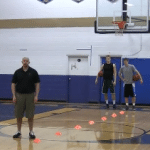 The push between the legs basketball dribble drill is going to help you practice being able to side dribble out of a potentially dangerous situation with the ball. 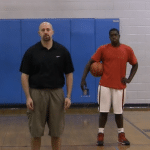 This dribbling drill is going to allow the player to get multiple repetitions of the reverse between the legs move and help develop confidence in the move. The tight spaces any move basketball drill is great for simulating dribbling through traffic and keeping the basketball tight to your body. The tight spaces behind the back basketball drill will help you learn to keep your dribble tight to your body and dribble through traffic at the same time. 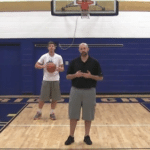 The tight spaces between the legs basketball drill will help you to work on your handles, footwork, and finishing ability. 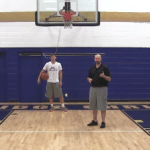 A big key to this drill is keeping your eyes up to see the floor. The tight spaces full court basketball dribbling drill is going to work on handling ball pressure, and then attacking in transition. Tight spaces reverse between the legs basketball drill is great for working on keeping the basketball tight to your body while dribbling and then scoring. 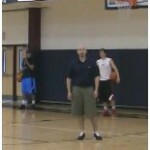 This drill is going to work on the behind the back crossover move while also really emphasizing changing speeds and selling your move. 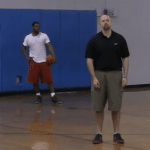 This drill is going to work on the between the legs behind the back combo move. It is really going to work on selling the move and changing speeds. This dribbling drill is going to work on the between the legs crossover move, but is is also going to work on changing speeds when making a move. This drill is going to work on the double behind the back dribble move as well as changing up speeds and being able to pause a defender. This dribbling drill is going to focus on learning how to change up speeds as a ball handler using the double between the legs combo move. The 1 dribble between the legs change direction drill is going to help the player work on being able to make a move at full speed, while still staying under control. The change direction drill is going to work on the players ability to handle the basketball moving forward at a high speed, and then make quick move. This double crossover behind the back dribbling drill is going to work on a player hand quickness, hand eye coordination, and their overall ball handling skills.